When you are trying to keep down the cost of your fleet, insurance premiums might not be an area where you feel you have much control. But actually, you can get a good reduction in the amount you pay out – if you are willing to put in the time and effort. Nick List from Zurich Insurance Group tells us how fleet managers can work with insurers to reduce their premiums. With so many factors coming into play, it can be hard to visualise all of the things you need to do to maintain a safe working environment for your drivers. 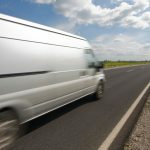 Are you doing all you can to keep your workforce safe on the road?